Bajaj Auto India has launched their latest version of the Bajaj Platina which they claim is the most fuel efficient motorcycle in the world at 96.9 KMPL mileage (in 100 cc category). 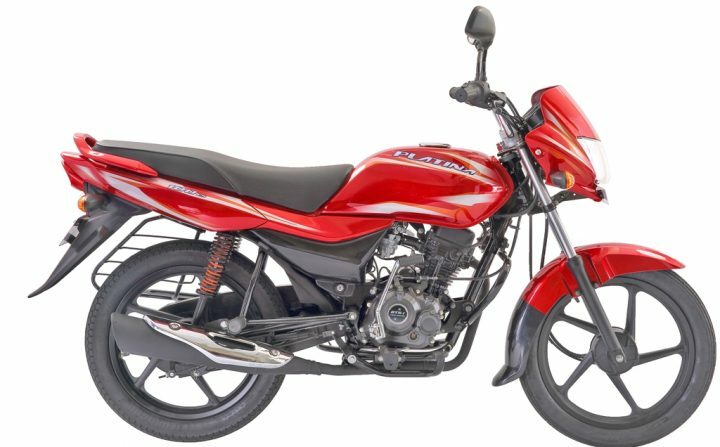 The new Bajaj Platina ES is an overall new motorcycles with a new platform uses the well known DTS-i series engine by Bajaj with dual spark plug technology which helps improve the performance as well as fuel economy. The bike has been rated with an ARAI mileage of 96.9 KMPL which is higher than any other 95 to 105 CC segment motorcycle which is mass produced across the world. 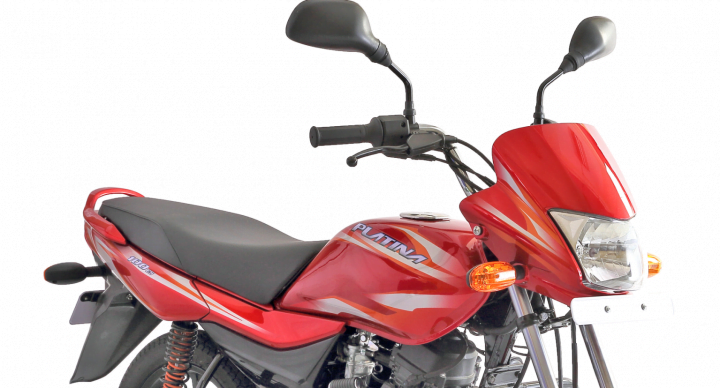 To make the Platina ES even more attractive buy, Bajaj has also offered good styling and electric start option. 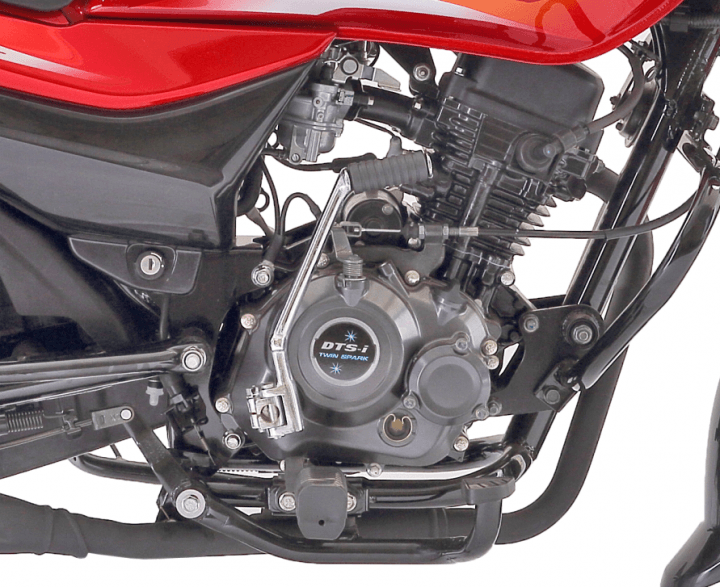 In this post we give you our view on the motorcycle as well as briefly compare it with the other popular motorcycles in this segment in India in terms of power and mileage figures. The on-road price is close to Rs. 50,000 approximately. In terms of styling, the Platina does not undergo any major design changes on the exteriors, however, the platform and chassis have been improved. The bike uses a lot of blackened metal treatment from front to rear starting right away from the alloy wheels at front all the way to the exhaust muffler (silencer) at the rear. Looking from the front, the headlamp gets a contemporary design, there is nothing radical here unlike the Discover series which has more styling elements at front. the rear view mirrors are also quite standard in design. 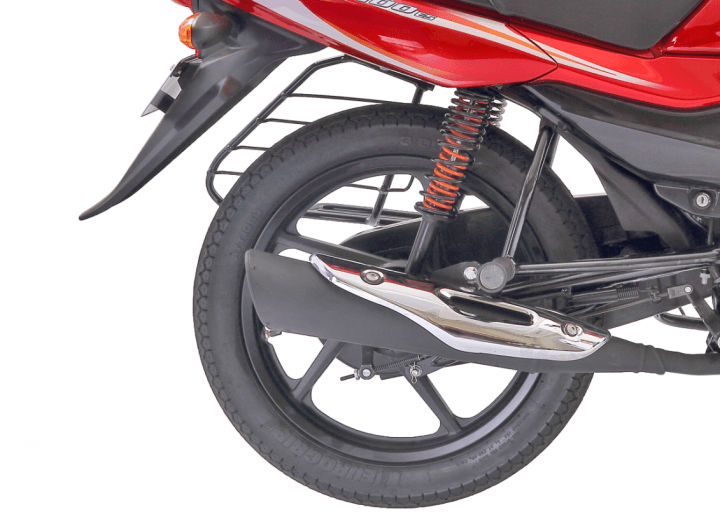 the front mud-guard however gets dual tone colour which looks sporty. Also the black allow wheels and suspension outer tubes in black look nice. The fuel tank gets sporty graphics and Platina branding, the fuel tank lid is finished in chrome. The seat is tall and wide for more comfortable ride for both rider and the pillion passenger. There are also colour matching grab rails provided at the rear. 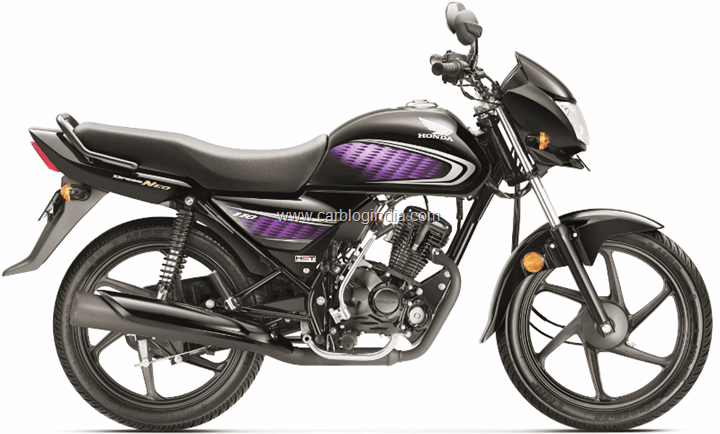 The exhaust muffler or silencer on the Bajaj Platina ES is also nicely finished in black matt finish and comes with a chrome heat-guard which makes it visually beautiful and stylish. 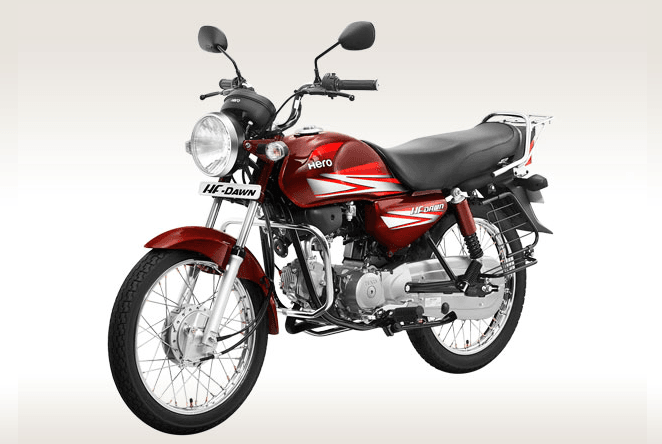 Let us also briefly compare the Bajaj Platina ES with the closest competition which are the two rival motorcycles in the similar series viz. Honda Dream Neo and Hero HF Dawn. 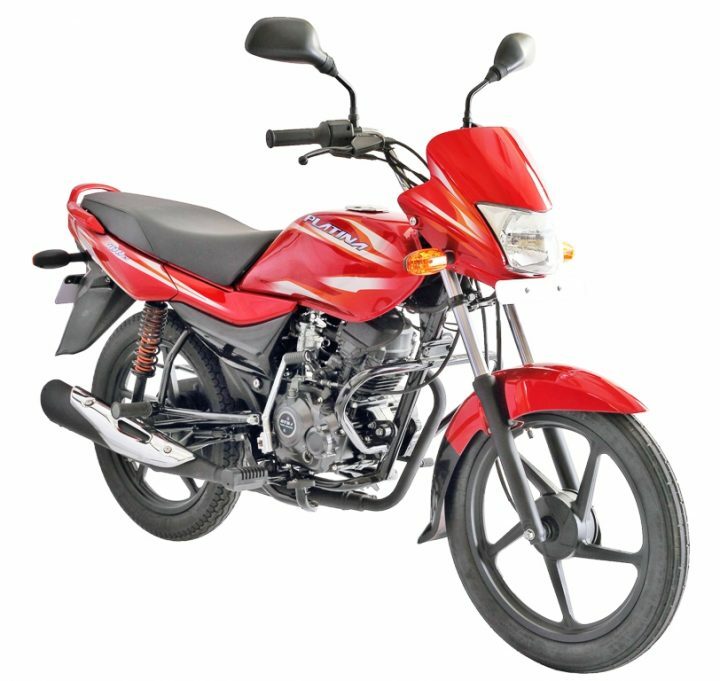 Hero HF dawn is the most inexpensive of the lot and the same is because of its bland looks and lack of any sort of features. It is a plain and simple looking motorcycle and does not look any close in aesthetics compared to the Platina ES. In terms of power and torque figures, it comes very close to Platina, but the mileage of the HF Dawn is 74 KMPL compared to the 96.9 KMPL delivered by Platina ES with its superiors DTSi engine. Honda Dream Neo on the other hand, is more expensive compared to the Platina ES by around Rs. 4,000, but it does offer a stylish look and good looks. It is very close in features to the Platina ES and offers good build and finishing. It offers almost same torque and slightly higher power compared to the Platina ES but the mileage of the Dream Neo is rated at 83 KMPL which is around 13 KMPL less compared to the Platina ES mileage of 96.9 KMPL. You can pick either of these bikes, but in terms of style and looks, the Platina and Dream Neo are better options. If mileage is your main concern, than Platina ES is a clear winner here. What are your thoughts about these motorcycles? Do let us know in the comments section below.